How do you breed koi? 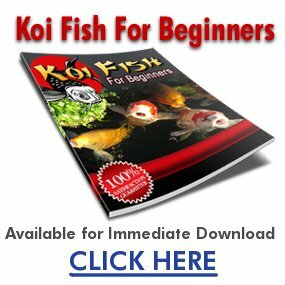 I need to know the steps to take to breed koi successfully. Understand that April to July is the best time for koi to mate. Try for a one-to-one ratio of males to females when breeding. Look for female koi to become bloated when they’re carrying eggs. Add a similar-sized male koi to the pond at this point. Help the fish to form a natural nesting area with synthetic brush or willow cuttings submerged underwater. The fish will nest beneath the brush. Expect the breeding pond to appear cloudy and give off an unpleasant odor immediately following the spawning process. Keep in mind that koi will lay thousands of eggs at one time. The eggs need to be separated from the adults to prevent them from being eaten. Expect the eggs to hatch within a week. Plan to feed the baby koi as often as five times a day for the first few months. You must first separate the mating pair either to another tank or using a net. This should be done about 4 weeks before mating season. Feed your pair well and make sure the water is well aerated. Use spawning ropes to catch the eggs when they are released. Nature will take its course. When the time comes, your female koi will get pregnant. The male will try to spawn her by pushing her body against the side of the tank. This releases the eggs and the male will fertilize them with sperm. The eggs are very sticky and will stick on to the spawning rope. Remove the rope with the eggs otherwise the parent koi will eat the eggs. Separate the male and female koi for a day or so after spawning otherwise the male will continue to push the female against the side of the tank and may injure her. step by step to breeding koi!!! 1)Understand that April to July is the best time for koi to mate. Try for a one-to-one ratio of males to females when breeding. 3)Look for female koi to become bloated when they’re carrying eggs. Add a similar-sized male koi to the pond at this point. 4)Help the fish to form a natural nesting area with synthetic brush or willow cuttings submerged underwater. The fish will nest beneath the brush. 5)Expect the breeding pond to appear cloudy and give off an unpleasant odour immediately following the spawning process. 6)Keep in mind that koi will lay thousands of eggs at one time. The eggs need to be separated from the adults to prevent them from being eaten. 7)Expect the eggs to hatch within a week. 8)Plan to feed the baby koi as often as five times a day for the first few months. Now that you are looking to breed your mature koi, you will hopefully have taken into account the risks involved. Many koi keepers do not wish their koi to breed, as the spawning event is quite stressful for koi. Unlike at all other times, koi are not graceful or reserved in their spawning behaviour. If males significantly outnumber ripe females then females in particular can become quite exhausted and physically damaged as the males drive and bash at the swollen females in their attempts to expel their eggs. This can lead to loss of scales and permanent scarring and when I used to farm koi, I had regular contact with a number of koi keepers who wanted their females to be induced and stripped artificially to release their eggs in a controlled manner. Many of these females already exhibit damage from previous spawning activity. On the more positive side, you have the opportunity of increasing the number of koi in your pond, tapping into the genetic and biological potential of your own koi. Good luck and i hope this helps!!! !